It's been a minute but the president himself is back. Dropping his hot new 'King,' Prezzo has just broken the silence in style. The veteran Kenyan hiphop sensation has for a while been on the sidelines featuring in other major artist's music. He has recently worked with the great names of Nonini, Jaguar, Magix Enga, just to mention a few. He also made his debut appereance in film, acting in Season 2 of Nairobi Diaries; one of Kenya's most acclaimed Reality TV Shows. He exited the show and hinted about working on resurfacing in music. 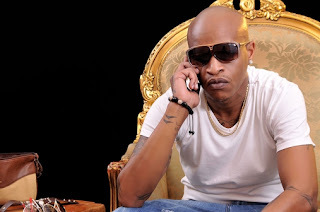 Prezzo has chosen to kick start 2019 with a bang coming in with a new sound that is definitely irresistable. 'King' has adopted a fresh contemporary hiphop style infused with the great old Prezzo rap signature. He takes an unconventional choice of production so that his hooks are done by a session musician who gives the song an A-class ambiance. Having been away for a while, his latest hit recaps his entire music journey. Right from the days he was a Chaguo La Teeniez nominee all the way to being among Kenya's longest and most influencial Hiphop artist. The video features beautiful shots of Nairobi City.